In Jamaica, many parties and evening receptions are held outside, with stark shadows and artificial lighting. The annual celebration of Bastille Day (or Quatorze Juillet) on July 14 at the French Embassy is no different. The guests stand stiffly, almost in rows, while speeches are made, their faces turned slightly upwards. Then they begin to scatter, this way and that, as food is served. As the speeches began, an Antillean Night Hawk wheeled in and out of the dark blue sky, making its harsh “gimme-me-bit” call. A Barn Owl screeched and flew low over the trees, ivory-white and for a second luminous before it disappeared. The mango trees were heavy, the fruits hanging so low that we bumped our heads on them. It was a theatrical setting. In a way, this suited the event that we were recognizing: that tumultuous day in 1789 when the French Revolution was born. I am not sure that the revolutionaries would have approved of us, celebrating them; dressed up in our high heels and trinkets, sipping wine (sometimes a little too much of it), enjoying the music, delicious food, the small talk, and the mild evening air. We are served by waiters and waitresses, with flutes of champagne on a tray. The revolutionaries would have scooped us up and sent us all to the guillotine, perhaps. They had a great sense of theatre – largely of the kind where the stage is awash with blood, and the audience recoils. 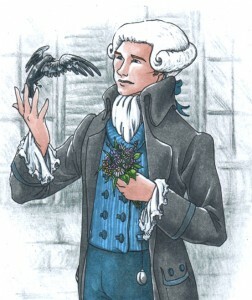 For, despite the declaration of “Liberté, Egalité, Fraternité” it was indeed a violent affair, as most revolutions are. It was an act of revenge in many ways for the uncaring greed of approximately two percent of the population – the clergy, nobility, and of course royalty – who sipped wine all day long, while the people were destitute. How many reigns of terror have there been since this one, around the world? How many are ongoing? It’s soul-stirring stuff. Yet, the French Revolution hardly led to an era of peaceful democracy. The well-known slogan was a bit like a very catchy hashtag, which stands on its own. The actions inspired by the hashtag were – well, less than inspiring, very often. 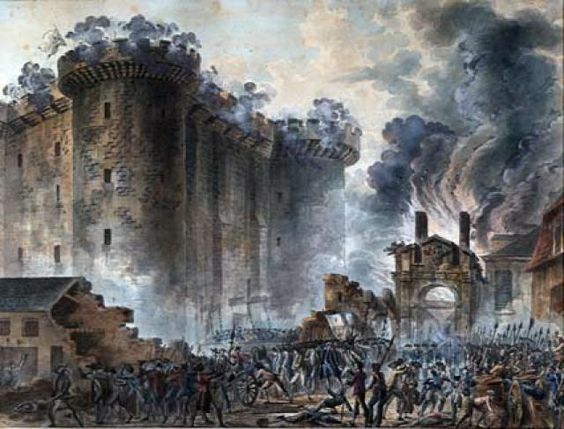 A few years after the storming of the Bastille prison, the so-called “Reign of Terror” began, organized by the Committee of Public Safety (which sounds, for all the world, like the sinister arm of a totalitarian state). 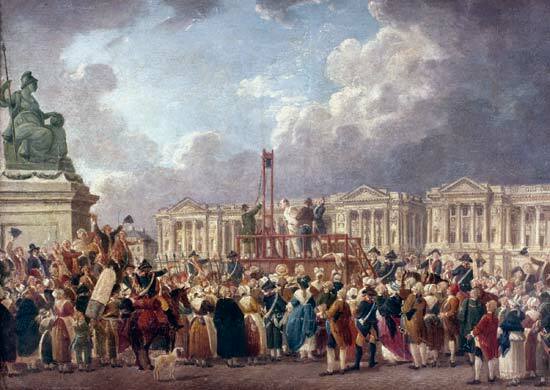 At least 17,000 people went to the guillotine, and the total death toll during this period of about one year has been estimated at around 40,000. They were the “enemies of liberty,” said Robespierre, who ended up going to the guillotine himself. If hashtags were around at the time, this would have been a good one, too: “Equality and Bread.” One word was political, the other economic. Give the people what they want. That was not the end of it, of course. 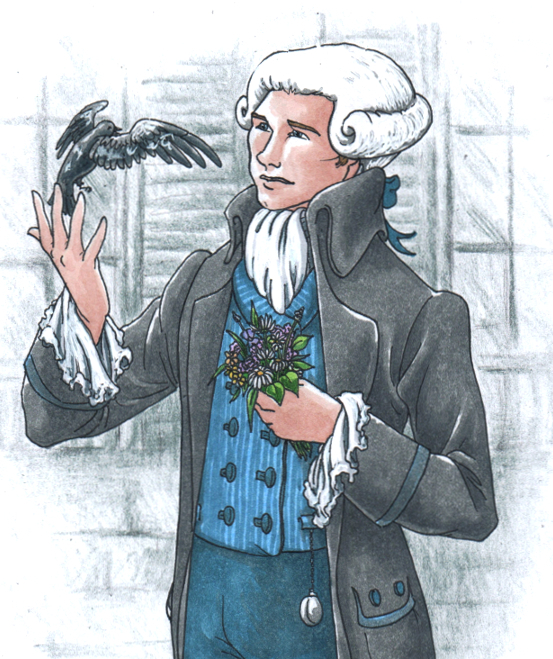 Citoyen Robespierre in one of his more sensitive moments. The word “citoyen“ in French has a noble ring to it. It means “citizen” and it was used as a form of address during the French Revolution. It was rather the equivalent of “comrade,” expressing solidarity. A citizen is proud, uncorrupt, free, living in brotherly love with his fellow citizen. He/she is building a Republic, based on the solid foundation of democracy and equality. And yet, how many proud citizens are there today – in Nicaragua, in the Democratic Republic of Congo, in Myanmar? It seems most of them still want Equality and Bread. UNESCO is a UN agency based in Paris. On its website, it recognizes Bastille Day as a historic turning point, one that had far-reaching ripple effects across Europe and right over to the young United States of America. So it was, and so it did. And yet, also on UNESCO’s website, you will find pages devoted to “Combating Violent Extremism” and “Learning to Live Together.” What have we learned? What has changed? 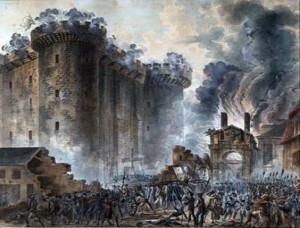 The Storming of the Bastille in 1789. Since 1880, grand military parades have marked the event.